Elite Trailers, Inc. was established in 1997. We manufacture gooseneck and pintle hitch flatbed trailers in a variety of sizes, ranging from 20 to 40ft with GVW from 14000# to 25,000#. We are a hands on manufacturer, that takes great pride in only building a top quality product. Elite Trailers, Inc. is a long time member of the National Association of Trailer Manufactures and has participated in their compliance program for numerous years. The NATM compliance program decal signifies compliance with established industry standards and US DOT’s federal motor vehicle safety standards and regulations. Our goal is to build the finest trailers with only the best parts and superior craftsmanship. We take great pride in every trailer, for each customer to be completely satisfied with every aspect of their experience with us. 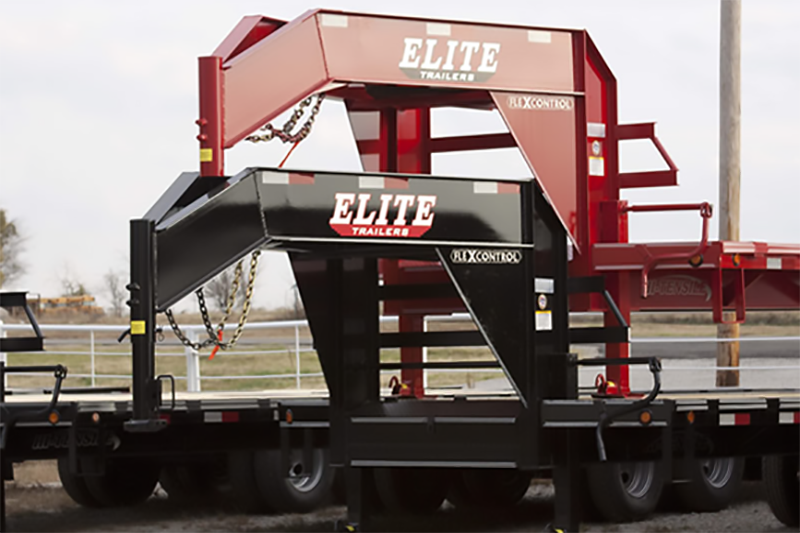 Elite Trailers, inc. is looking forward to meeting your needs for your equipment trailer. By being honest, forthright and dealing with people on a one to one basis. We have become a leader in our field. Plus, our company has continued to grow with each passing year. We proudly stand behind our trailers, and guaranteed that they are of excellent quality. We customize to your particular needs.